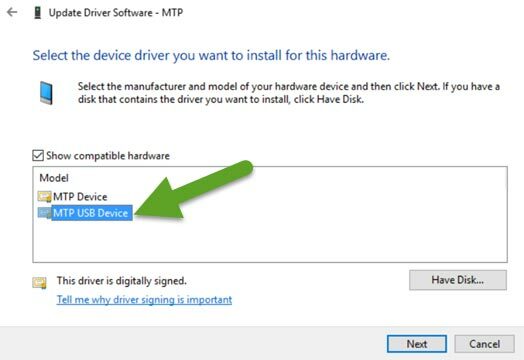 Today in this article, I’ll help you How to solve USB Not Recognized or USB not working Error in Windows 10 (All Version). It’s a very frustrating problem when you want to transfer files to your Android so you plug your android device to your PC via USB and computer shows that “USB device not recognized” or nothing. This has happened with every Android device like Galaxy Note and nexus 7 (Android-Marshmallow Version). Note that this post is about to fix USB device not recognized error when you try to connecting your Android device to a Windows 10/8/7 or PC. Before we start, you have to check your android is set to connect as a ‘Media Device’ (MTP). This setting location depends on your android device and your android version. Basically when you connect your android phone to PC, ‘USB connection’ option is appear in notification bar. You have to click it and check “Media Device (MTP)” option. 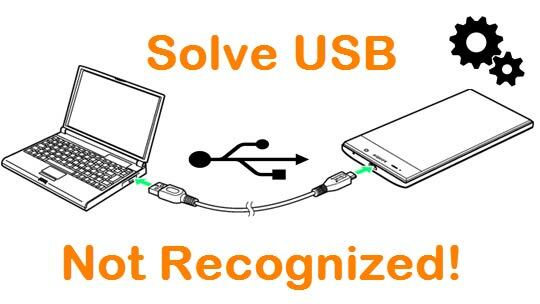 Now watch video tutorial to solve USB not recognized or USB not working problem in windows 10 or any version. How to solve USB not recognized? You should do is update your USB drivers to the latest version by automatically or manually. This usually fixes the problem for most users. Mostly updating your USB driver by automatically is getting error. So, you have to update your driver by manually. Go the the ‘Device Manager’: either right click on ‘My Computer’ and select ‘properties’ then ‘Device Manager’ in the left sidebar, or go to ‘Control Panel’ then ‘system’ then ‘Device Manager’ from the left sidebar or you can directly search it. Next, find the Android device driver. The driver may be listed under ‘Portable Devices’ or ‘Other devices’ or it may be listed under it’s own name (see the screenshot below for examples). Right click on android device driver and click ‘Update Driver Software’. A pop up window will appear where you have to click ‘Search automatically for updated driver software’ and your USB driver is updated to the latest version by automatically. But, this method does not work for all users. Sometime it’s getting error like “Windows encountered a problem installing the driver software for your device”. So if you getting the error you have to update your USB driver by manually. Right click on android device driver and click ‘Update Driver Software’. 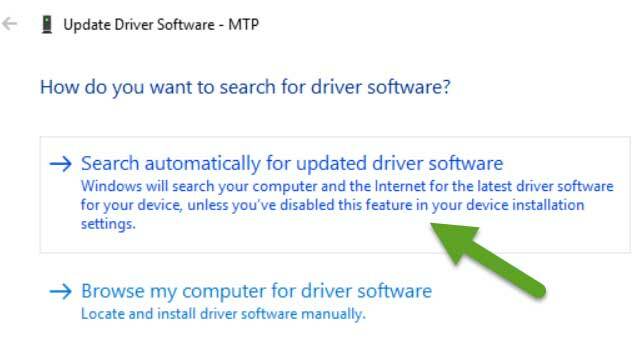 A pop up window will appear where you have to click ‘Browse my computer for driver software’ and then click ‘Let me pick from a list of device drivers on my computer’ option and click next. Now you have to select device’s type like “Android”. If you can’t see “Android” option from the list just select “61883 Devices” option and click next. 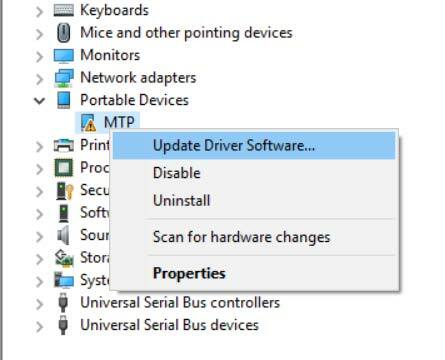 Then, select “MTP USB device” driver and install it. I am sure your USB device driver is updated successfully and android phone is successfully connected to windows 10/8/7. Note: Make sure your Android device is connected to the PC first while updating USB driver (even if not recognized as a drive). This was the today's tutorial on How to solve USB not recognized in windows 10/8/7. Hope you guys like this. Please leave your comments and feedback below this post. Happy Learning!